Sophie is 23 and originally from Darlington. 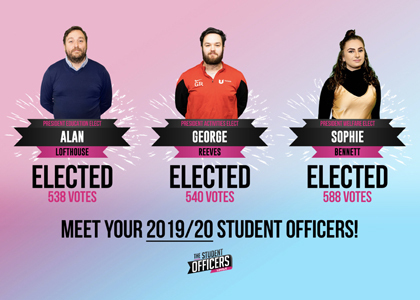 She has most recently studied Sport and Exercise Coaching Science and will be a familiar face to many having worked for the Students' Union as a member of bar staff for several years. She was also previously a Course Representative and mermber of several sports clubs. 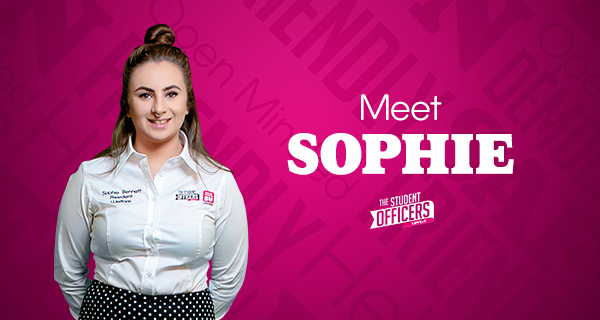 She works with TUSU and Teesside Uni staff as well as a range of external agencies such as the NHS and Cleveland Police on student welfare. This includes pushing for improvements to the support available to students and running a range of campaigns covering housing, safety. mental health, sexual health, alcohol and drug awareness plus more.